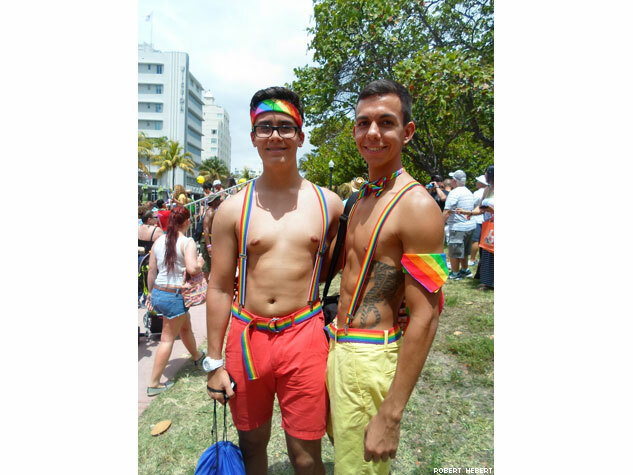 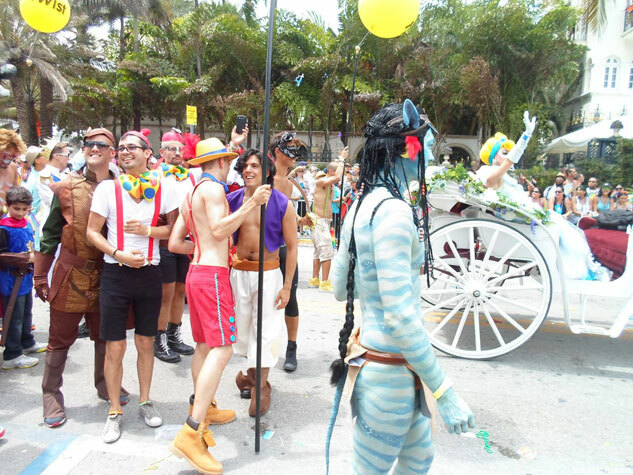 Miami Beach Gay Pride is an extraordinary two-day event that features a beach party and a festival and parade with more than 125 LGBT-friendly vendors and businesses, exciting celebrities, musical performances, refreshments, and a family-friendly play area. 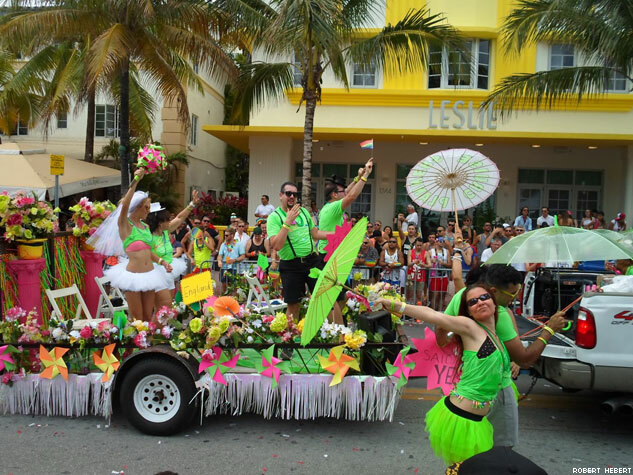 With grand marshals Gloria Estefan and choreographer Kenny Ortega, the fun volume nob was turned all the way up. 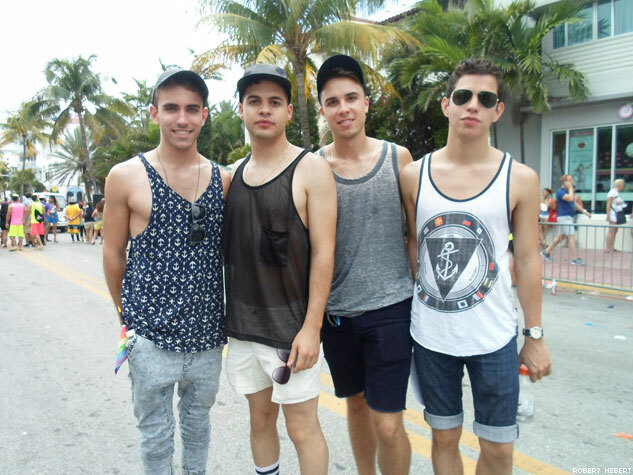 Coming into its sixth year, Miami Pride has grown into the largest two-day event of the year in Miami Beach. 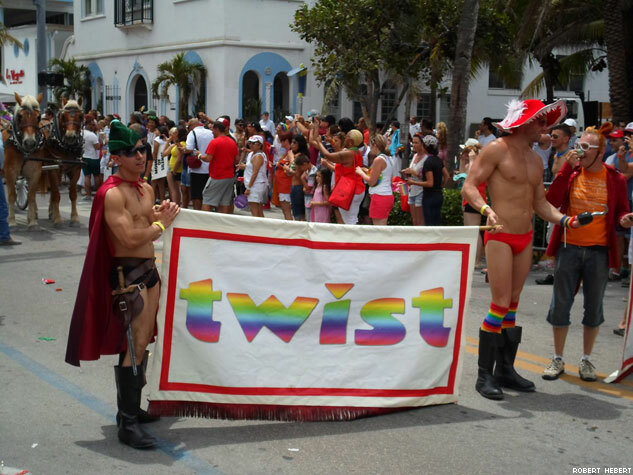 The hugely successful event in 2011 attracted more than 40,000 people, in 2012 more than 60,000 people and in 2013 more than 80,000 people from all walks of life, all parts of the country, and all age groups. 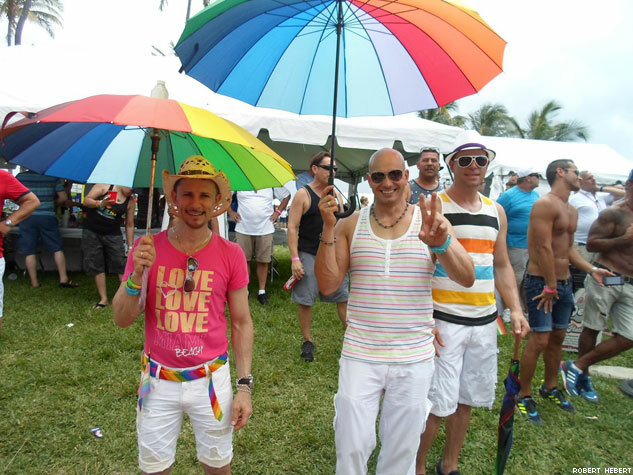 Legacy couples pose with Gloria Estefan. 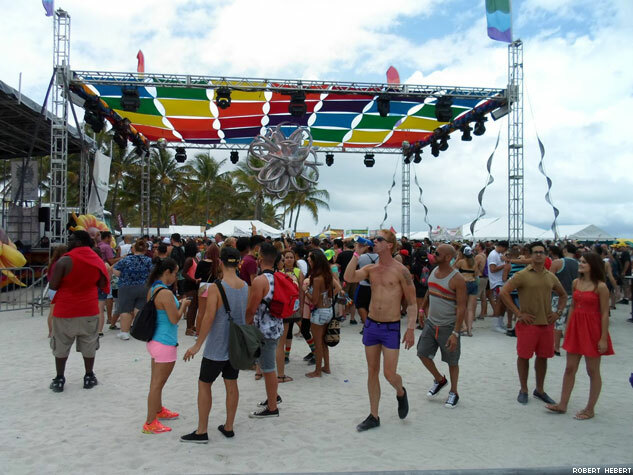 Revelers enjoy international DJs at the mainstage. 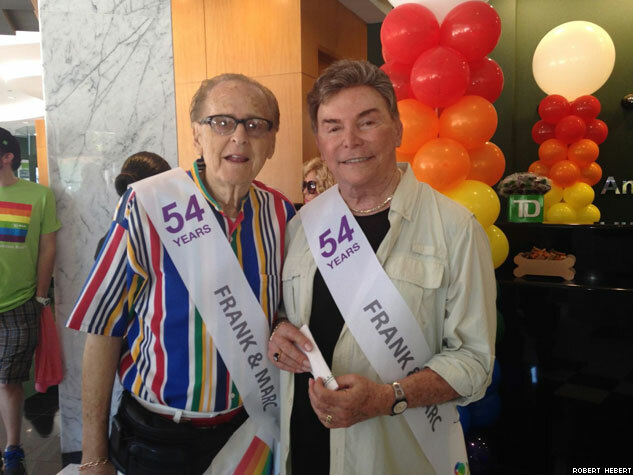 Pridegoers enjoy fresh cocktails in Pride Village.